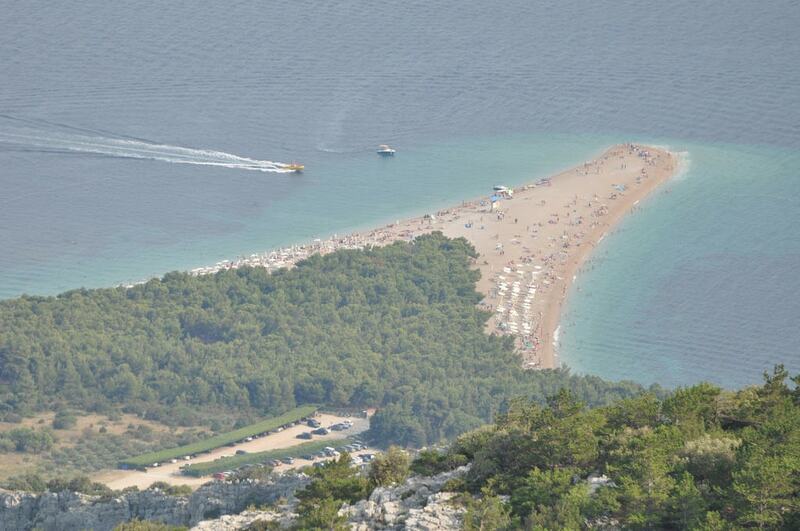 Brač, the nearest main island to the busy port of Split, is known for Zlatni Rat, the most famous beach in Croatia. Elsewhere, the heavily indented coastline is dotted with hidden coves and secluded beaches, always fun to explore and discover. The poster boy for Croatian beaches, Zlatni Rat comprises a long tongue of fine shingle that juts out into the Adriatic, a short walk from Bol on the south coast of Brač island. As well as being a convivial stroll along a path lined with pines, ‘The Golden Cape’ has the somewhat unusual feature of slowly changing shape according to the winds and tides. These same elements ensure that the beach is popular with windsurfers, who converge here on summer afternoons. Sheltered by the headland where the Dominican Monastery stands, Martinica is a popular spot near Bol. Blessed by the same winds that attract windsurfers to nearby Zlatni Rat on the other side of town, Martinica is far more intimate, its surface of little pebbles attracting families who don’t have to jockey for towel space first thing in the morning. Refreshments are provided by the bar and restaurant beside the monastery. Towards the north-east tip of Brač island, facing the Makarska Riviera on the mainland, Povlja is unusual in that it doesn’t have a main communal beach, but a series of small ones, all set in coves that create the twisting contours of the coastline. Variety is the key here – explore Smokvica one day and Tatinja the next. The village resort has its own cove, with bars and restaurants nearby. 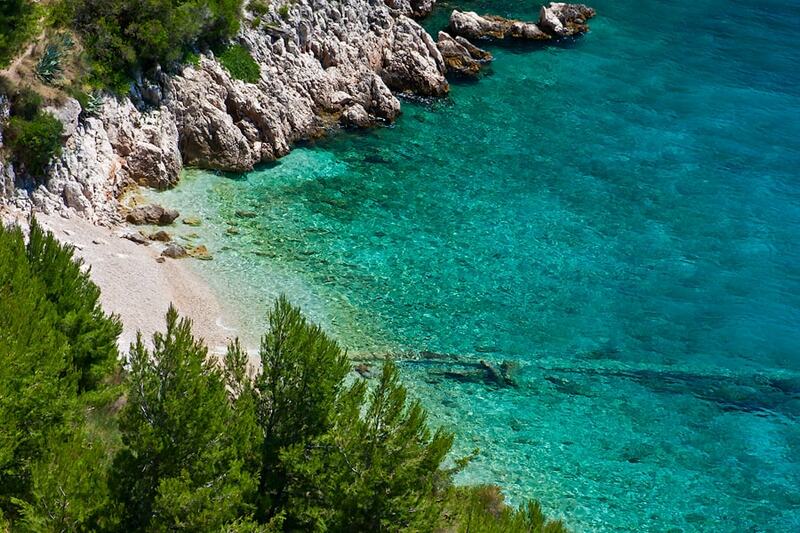 Hidden away but accessible by footpaths, the idyllic shingle beaches of Murvica provide reason alone to trek a few kilometres east of Zlatni Rat, near Bol. Here on the island’s south coast, the terrain is more forgiving than the cove-indented shoreline in the north, the sea gently washing over inviting stretches of beach, nearby cliffs providing shade according to the movements of the sun. There are few other attractions, save for the murals created by monks centuries ago in the Dragon’s Cavern close by. Sitting on Zlatni Rat near Bol surrounded by noisy families, it seems unlikely that solitude can be close by, but the pebbled shore and rocky coves of Paklina are only a five minute stroll along the coast. On the other side of the line of pines, naturists and child-free couples enjoy complete relaxation, swimming without having to negotiate their way around earnest windsurfers or random pedalos. While seemingly sheltered, Paklina also has bars and restaurants a few hundred metres away should the need for beer prove too strong. Croatia has everything, sun, sea, fine wine and fish but rarely sand. Many Brits, particularly Brits with kids, arrive at a typical Dalmatian beach of white stone and curse themselves for not having packed sandals. Lovrečina, set in its own beautiful bay almost exactly halfway along the north coast of Brač island, provides a child friendly exception. 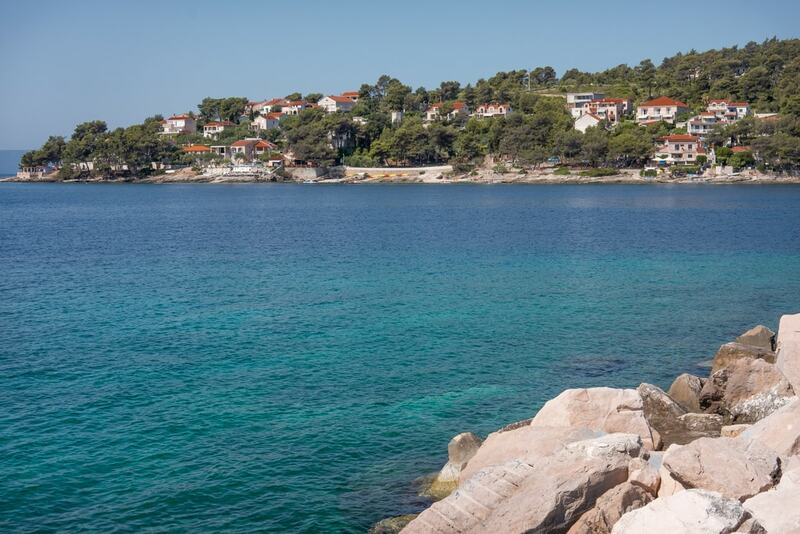 Best accessed by boat or car, the beach at Lovrečina follows a half-moon shape, pine trees encroaching all around to provide greenery and shade if required. A fair stretch from Supetar but easy daily ferry hop from the mainland at Makarska, Sumartin is a tranquil little fishermen’s village surrounded by secluded beaches and isolated coves. Don your sandals, pack water and you can spend many a happy morning heading out from the picturesque harbourfront, finding little stretches of sandy shore at Žukovik, Zvirje and Rasotica. 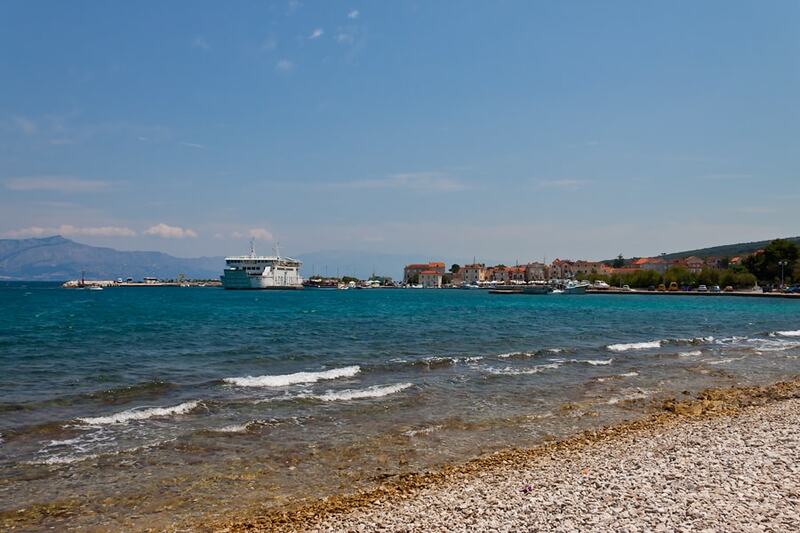 It was renowned sculptor Ivan Rendić who came up with the idea of a communal beach near the harbour in Supetar, the island’s main town where he grew up and spent his last years. Today the walkway lined with stalls peddling olive oil and items of Brač stone bears a plaque in his honour. The beach Banj provides easy relaxation, sun loungers, shades and public showers, and is close to several bars and restaurants. The water here is shallow, stone quickly giving way to sand, the horizon occasionally broken by ferries gliding in the distance.